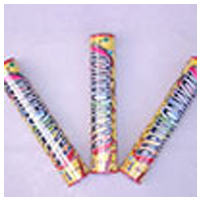 Buy fantastic party poppers and party cannons from Novelties Direct at low wholesale prices. These party cannons and poppers create a real wow effect at any party or event setting off either foil and tissue paper shapes or streamers. We have a large range of colours and shapes in stock which come in different size packs. 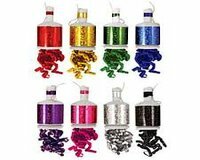 Party Poppers make a great accessory to any tableware decorations and are good fun to set off as people enter a room particularly if its a surprise party. Party Cannons are available in a choice of sizes depending on the height of the ceiling at your venue, these also work well if they are set off at the end of a show or production. Novelties Direct offer a friendly and personal service and fast and reliable delivery. If we don't have what you are looking for we will always try and find it for you.